J. Cole is working on a new mixtape that's "coming soon." J. Cole fans have a lot to be happy about right now. Just hours after the Dreamville leader warned us that he was hungry for beats yesterday, Jermaine decided to come out of nowhere today and surprise us with a new freestyle over Nas’ “Oochie Wally” called “Album of the Year.” The song, which was accompanied with a new video, opened up with a message that read: “What you are about to witness is a master class on preparation. The Off Season,” and it turns out that happens to be the title to his next project! 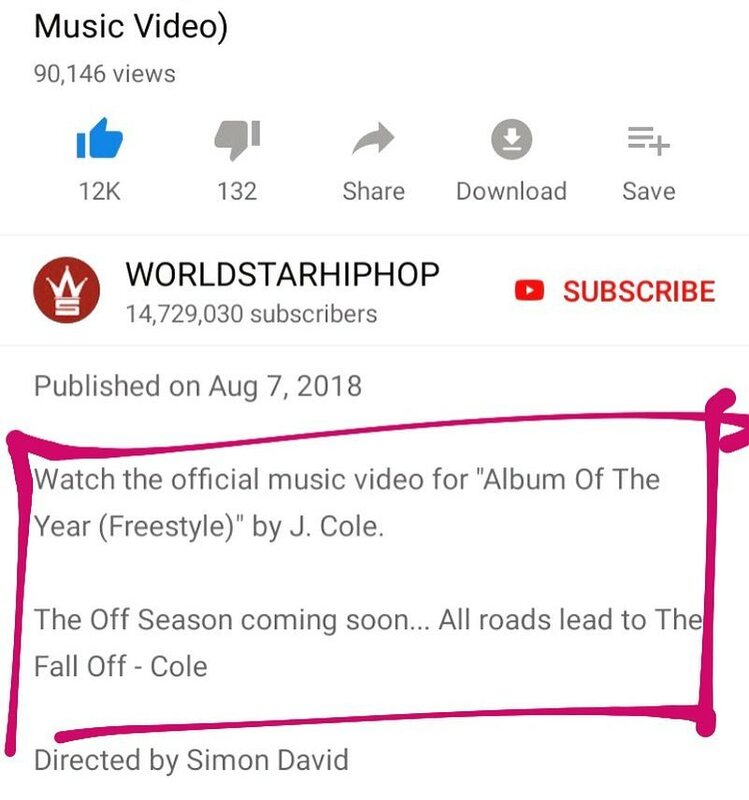 In the video’s description, Jermaine revealed that he’s working on a new mixtape called The Off Season, which will serve as a prelude to his long awaited album The Fall Off. “The Off Season coming soon... All roads lead to The Fall Off,” Cole wrote. He didn’t reveal when we might be able to hear this project, but considering he’s kicking off its campaign with the “Album of the Year” today, I wouldn't be surprised if it arrives much sooner than we think.